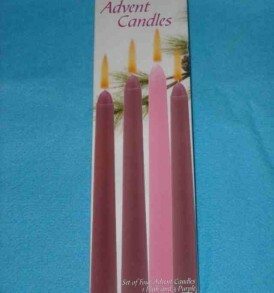 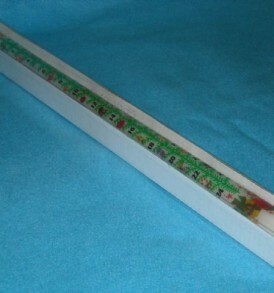 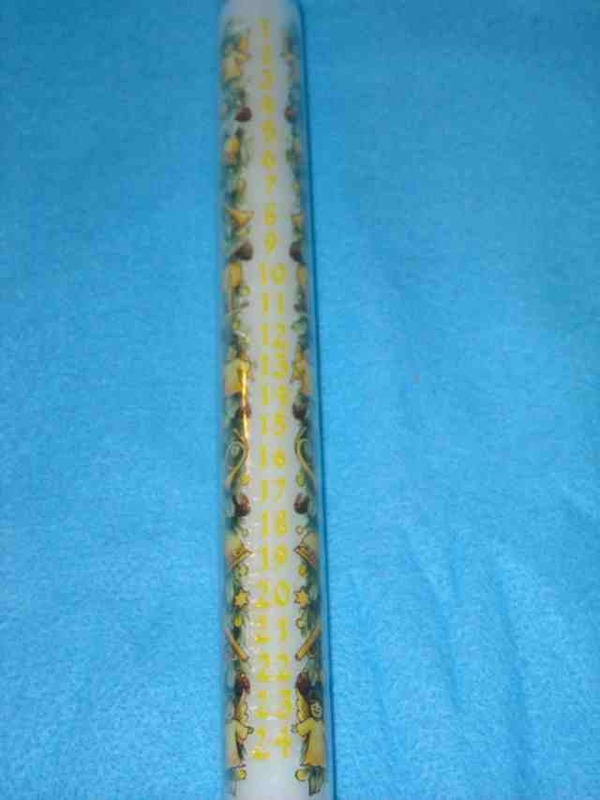 Here I have One brand new Advent Calendar Taper Candle. 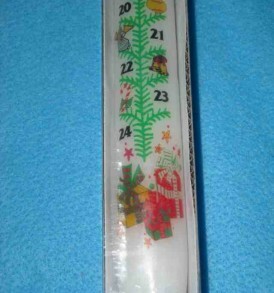 It has the 24 days before Christmas markings for you to burn a little each day. 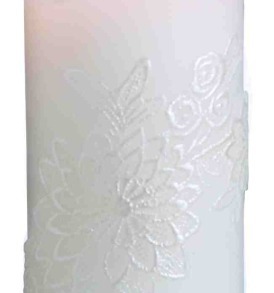 It has many decorations on the candle as you go down on the candle. 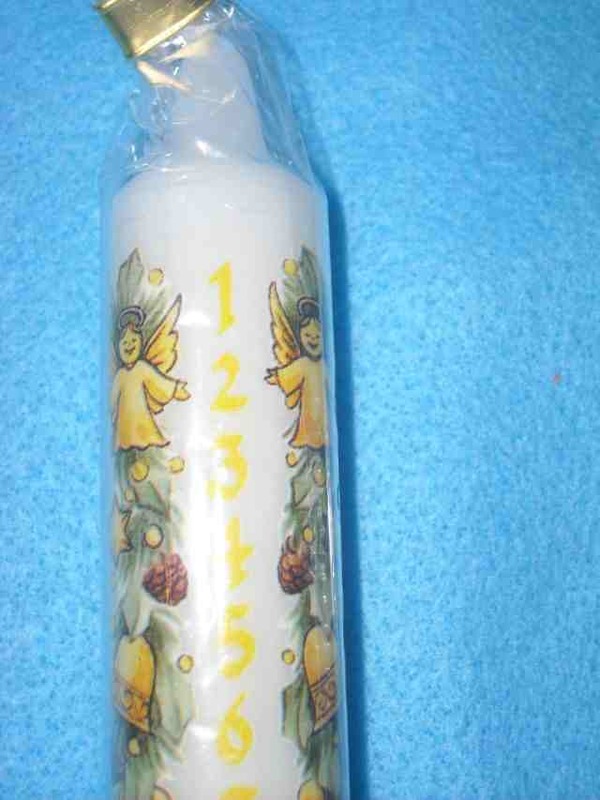 The numbers 1 to 24 go down the middle of the candle in the color of yellow. 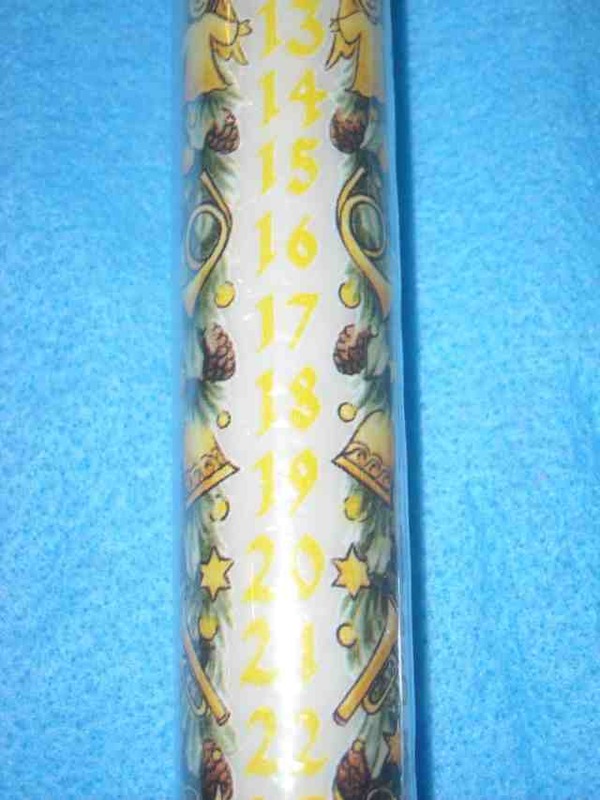 And then on each side of the numbers, there are Christmas decorations of: angels, stars, bells, candles, trumpets, and more. 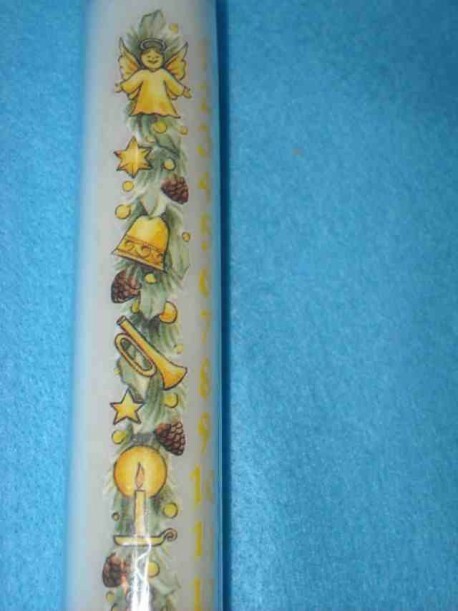 To burn the whole candle, it burns about 10-12 hours. 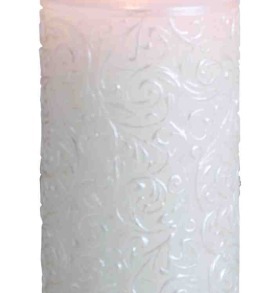 Its measurements are 12″ tall by 7/8″ in diameter.